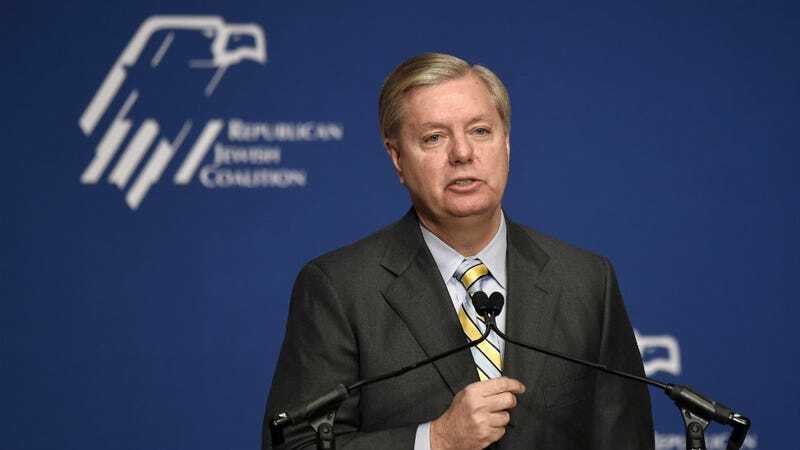 After several months of polling at one percent on a good day, South Carolina Senator Lindsey Graham announced Monday morning he’s dropping out of the Republican primary race. In related news, Lindsey Graham was, until this morning, still in the Republican primary race. Your campaign may be over, Senator, but the way we cringe when we think about that sentence will endure. He made a video. Comments have been disabled.